This paper highlights the importance of the sea as a critical global trade waterway and a key energy sealane as a prelude to discussing the overlapping claims by several nations on parts of the sea. It warns against overzealous acts by nations to stake their claims that may pose a threat to security, stability and prosperity in the region and may invite the presence of outside powers keen to capitalize on such situation. The South China Sea provides a critical passage to a significant volume of global seaborne trade and a lifeline for East Asian economies which depend on energy imports from the Middle East. The sea also features stunning mega biodiversity and rich fishing ground and is believed to contain prolific deposits of hydrocarbon energy resources. Parts of the sea and its islands and other maritime features are the subject of overlapping territorial claims by several nations in the region. Some claimants have defended their interests in a vigorous manner which have led to conflicts and have stoked tension in the sea. It is feared that if not managed and settled amicably, these claims may turn the sea into a flashpoint that will sour relations among countries in the region and threaten its prosperity and stability. This paper highlights the importance of the sea as a critical global trade waterway and a key energy sealane as a prelude to discussing the overlapping claims by several nations on parts of the sea. It warns against overzealous acts by nations to stake their claims that may pose a threat to security, stability and prosperity in the region and may invite the presence of outside powers keen to capitalize on such situation. It strongly advocates using trade and economic development as a common denominators to foster cooperation among the nations in the region as a way to cool off tension arising from their claims in the sea. The paper emphasizes that a common vision is needed for all sides to view the sea and its parts as belonging to no one but benefiting everyone. The importance of South China Sea (SCS) (Diagram 1) as a sea line of communication (SLOC) is well documented. This great sea stretches from the west coast of Singapore in South East Asia all the way to Taiwan PRC in the Far East. It contains over 200 islands, many of which are submerged islets, rocks and reefs which are unsuitable for human habitation. The sea is also said to host a stunning amount of biodiversity and marine resources, including huge sources of hydrocarbon energy, fisheries and 30% of the world’s coral reefs. Providing the shortest route between the Pacific and Indian Oceans, SCS is a virtual maritime superhighway that acts as a conduit to facilitate trade between China and India and between East and South East Asia and the Middle East since ancient times to this day. Straddling over one of the largest maritime areas after the five oceans, SCS acts as a conduit to East-West trade. It facilitates much of essential oil imports by resource-hungry countries in the Far East - namely China, Japan, Taiwan PRC and South Korea - from mainly the Middle East and increasingly from South America and Africa. They also import raw materials and commodities such as gas, coal and primary commodities from South Asia, South East Asia and Australia. All kinds of goods produced by these Asian economic powerhouses are also exported to their trading partners via this pivotal body of water. The sea also facilitates intra-regional trade of South East Asia (SEA), essentially a maritime region, and between SEA and East Asia. Further underlining its importance, it is estimated that SCS facilitates the movement of over half of the world's oil tanker traffic and over half of its merchant vessels (by tonnage) annually. The SCS expanse hosts one of the world’s most vibrant economic regions and is home to several major maritime nations boasting significant shares of world merchant tonnage and port throughput. Along its coast are among some of the world’s biggest and busiest container ports such as Singapore, Hong Kong and Kaohsiung ports. SCS borders countries such as China, Taiwan PRC, Thailand, Malaysia and Singapore, Indonesia, Brunei and Philippines; nations which contribute significantly to the global maritime trade. The massive importance and calm appearance of SCS belies the simmering tension arising from overlapping territorial claims and counterclaims of areas and features of the sea by nations in the region. The long history of strife in the region has left a legacy of disputes and tension in the sea that can potentially threaten peace in the region. It unwittingly provides a stage for powerful nations to flex their muscles and display power projection. Analysts have expressed worries that the sea will one day become a battleground among military powers intend to exert their supremacy and protect their interests. On the basis of a recent announcement by a certain regional naval power to increase patrols in disputed areas in the sea to fortify its claims, there is some currency in those concerns. Such developments - coupled with unflinching positions taken by nations to protect their interests, the outright dismissal of the claims of others, and the distorted interpretation of international laws - gives rise to anxiety among less powerful claimant nations. If the tension is left to simmer, it could come to boiling point and pose a serious threat to stability in the sea and its surrounding areas. It could also lead to intervention of outside powers which are always sniffing out for any opportunity to establish a presence and play a role in this region. The SCS occupies an area approximately 648,000 square miles and features some of the world’s most strategic energy shipping routes that serve much of the maritime trade between East Asia and South Asia, Persian Gulf, Africa, Europe and the Americas. A glance at the map of the SCS region reveals why. The region’s islands and peninsula are wedged between the Pacific Ocean to the east and the Indian Ocean to the west, while its north-south maritime path links Australia and New Zealand to the vibrant East Asian economic region. Due to the littoral nature of most nations in the SCS vicinity, much intra-regional trade depends on the shipping lanes in SCS, as does much of the trade between nations in the region and the rest of the world. Put it simply, maritime trade of the SCS region and many other economic regions with which it trades would not thrive without the safe passage provided by the shipping lanes of SCS. Merchant shipping (by tonnage) in SCS mainly features the transportation of raw materials to East Asian countries, but the share of containerized cargo is fast increasing. The region contains some of the world’s leading trading nations, including China, Taiwan PRC, Japan and South Korea which export all kinds of manufactured goods to the rest of the world and also import a variety of raw materials to feed their huge population and booming economy. The outsourcing phenomenon has generated intense manufacturing and assembly activities of a stunning range of products in the SCS region which offer lower costs of production compared to more economically advanced regions. This, coupled with the rapid industrialization of countries in the SCS region, has catalyzed the growth in container trade in the region to dizzying levels. It is therefore not surprising that SCS figures prominently in the world maritime trade equation by way of the region’s contribution to the world’s merchant fleet (see Table 1). The impressive growth of the economies of the region has boosted the merchant fleet capacity of regional nations in their pursuit of expanding their trade volumes and to increase their national merchant shipping tonnage to support their growing trade. The SCS region’s commanding share of global merchant shipping underlines its importance as a major seaborne trade and shipping center. Where the center of gravity in maritime trade and merchant shipping was once in the west, it has now shifted to the east, partly as a result of the rapid industrialization and stunning economic growth of countries in the SCS region. Booming global trade prior to the current global recession, pro-business policies, rapid expansion of trade and maritime infrastructures, globalization and liberalization contributed to the explosive growth of seaborne trade in the SCS region and the littoral economies in the SCS region in the last decade. The various phases of economic growth in the region – namely the growth of Japan and South Korea after World War II, the emergence of Singapore and Hong Kong as major trading shipping hubs, and the rise of the ‘Asian tigers’ such as Malaysia and Thailand – all coincided with the rapid growth of their shipping sectors and merchant tonnage to support their growing trades. The rise of China as an economic superpower has significantly spurred seaborne trade and the growth of the maritime sector in the SCS and its vicinity. Many nations in the SCS region have become increasingly aware of the need to attain self-sufficiency in shipping as a means to enhance their trade competitiveness. The developing nations among them are also mindful of the need to attract foreign direct investment (FDI) to boost economic growth, and to reduce their reliance on ships made at foreign shipyards and maritime services provided by foreign companies. The SCS region forms a lion’s share of the world demand for bulk items, and played a major part in pushing freight rates for bulk carriers to record highs in 2008. Shipment of dry bulk items namely coals and iron ore from Australia and Brazil, and grains heading to energy hungry, rapidly developing and populous East Asian nations, fueled the growth of bulk shipping prior to the global recession. Growing demand from the region’s nations for dry bulk goods such as grains to feed their growing population, and break bulk items such as iron ore and coal to support their rapid industrialization and construction works, has resulted in the corresponding growth of tonnage in the bulk segment. Trade liberalization, growth of maritime and trade infrastructures, rising consumer demand and the trend of multinational companies (MNCs) to outsource their activities to many countries in this region have combined to catalyze the growth in container trade, throughput and shipping in the area. As for general cargo, huge demand from the SCS region for items such as refrigerated cargos and specialized cargos, and the increasing popularity of cruise in the SCS waters have contributed to the increase in tonnage of general cargo ships. The ports and shipping sector in SCS has undergone rapid expansion as the volumes of bilateral trade of regional countries, intra-regional trade and the region’s trade with its other economic regions continues to expand at an impressive rate. Several SCS region’s countries have emerged among the world’s leading maritime nations, thanks to their growing merchant fleet and port throughput, and their increasing trade volumes with their major trading partners. The number of ship calls in regional ports, many of which carry intra-regional trade, has increased substantially over the years. Growing intra-regional trade and the promotion of trade and transport initiatives within the SCS region such as the Asia Pacific Economic Council (APEC), ASEAN Free Trade Area (AFTA) and Brunei-Indonesia-Malaysia-Philippines East Asia Growth Area (BIMP-EAGA) platform have had a significant impact on the growth of maritime trade and the development of maritime infrastructures in the region. Significant investments have been put into the maritime sector in the SCS region to facilitate the trade of its littoral nations; not surprising given the geographical features, trade composition and economic characteristics of the SCS region’s nations’. The tremendous growth of ports and shipping activities in the region over the years underlines the value of the maritime sector to the region’s socio-economic well-being. Ports and shipping, and the maritime ancillary services, are recognized as essential facilitators of the region’s trade, hence crucial to its economic prosperity and the wellbeing of its people. Although the growth in maritime trade and shipping sector in the SCS region was halted by the global credit crunch and economic downturn, there should be no doubt that trade volumes and demand for shipping trade will rebound once the financial markets recover and the world economy is back on track. With an estimated 80% of the world’s trade being carried by seaborne transport, and the SCS region commanding a major slice of the global trade, the long term perspective for maritime trade and the shipping sector in the area should be promising. Various literature reviewed suggest that a third of the world’s oil trade passes through SCS. Diagram 2 highlights the importance of the Straits as a key energy route and chokepoint for the flow of crude oil between the Gulf and the economies in East Asia, which passes through SCS. The emergence of China as an economic power has resulted in huge demand for oil and gas to power its booming economic growth and to cater to growing ownership of passenger vehicles. The world’s populous nation is already its second largest consumer of oil and the third largest net importer of the ‘black gold’ after the US and Japan. Such is China’s rapacious appetite for these goods that it has resorted to importing them from places as far away as Africa and Latin America to ensure adequate supply and to lessen its dependency on oil traditionally obtained from the Middle East. Due to this, East Asia has emerged as a key center for the unloading of crude oil, a fact reflected by the heavy tanker traffic in SCS. Although SCS is an energy rich sea, much of the region’s energy needs come from imported sources, especially from Middle Eastern and African countries and energy resources-rich SCS nations such as Malaysia and Indonesia. An estimated 80% of the crude oil used by China, Japan, Korea and Taiwan passes through SCS. The SCS provides the main route for much of these oil imports, especially from the Gulf, to be transported to those countries. As the region’s energy demands grow to match its growing population, industrialization and robust economic growth, its reliance on imported oil is set to increase. It is expected that demand for oil from East Asia will grow 2.7%, annually from 14.8 million barrels per day (mmbpd) to 29.8 mmbpd by 2030, with China accounting for half of this demand.This will further enhance the importance and strategic value of SCS as an energy sealane in facilitating the transportation of the region’s energy needs. Where there was once one giant land mass in the region aeons ago, there are now continents and nations. With them came borders that restrict movements and multiple interests that put countries at loggerheads. Powerful nations of the day sought to conquer other nations to expand their territories and to gain access to natural resources and riches not available in their own countries. The quest for territories and conflicts over boundaries are not exclusive to terra firma. Countries extend their border claims to the maritime realm as a means of power projection and to exert their superiority. Only conceptually the seas appear as an expanse unbroken by borders and checkpoints which figure prominently on land. Truth is, the seas provide an equally dramatic stage for nations to stake sovereign claims over areas, as does the land. In pursuit of their national interests, countries set aside goodwill and diplomacy, and even respect for the needs and concerns of others. It is sad to lament that the ancient saying ‘the land divides but the sea unites’ remains more of a romantic ideal than a statement of fact. Few maritime areas in the world provide a potentially explosive backdrop for nations pursuing their maritime interests than the SCS. This sprawling maritime area is increasingly commanding keen international attention for being an unwitting chessboard in the contest of grandmasters. Its historical background and strategic, political and economic importance combine to attract the interest of many countries. Providing an extremely strategic location from an economic and military viewpoint, and hosting a prolific amount of hydrocarbon energy riches, it is no wonder that parts of the SCS have become the subject of intense claims and counterclaims by a number of nations. There are also competing security priorities in the sea that contribute to the rising of the temperature there and threatening the balance of power in the region. Over the years, several events and territorial claims that underscore the tension in the SCS have occurred. Some resulted in full blown deadly affairs between navies, while some continue to simmer to the extent that many analysts fear that it would not be long before they come to a head. It is feared that the presence of warships in SCS by nations adamant to protect their interests will result in the militarization of the waters. This, combined with excessive claims, unflinching positions, aggressive military posturing, and long history of animosity among some of the claimants, makes for a potentially combustible cocktail that may trigger serious conflicts in the SCS. The use of different names by different countries for SCS and its islands underscore the sharply divergent views, positions and interests in the sea. Although known worldwide by its English name, SCS is officially called Bien Dong (East Sea) in Vietnam, while the Philippines refers to the part of SCS in its territorial seas as Dagat Luzon (Luzon Sea). Even the islands in the SCS are known by different names by different nations. The disputed islands of Senkaku, so called by Japan, are known as Diaoyu to China. Despite the fact that almost all the littoral nations in the SCS are parties to the United Nations Convention on the Law of the Sea (UNCLOS) 1982, they have not been able to use the convention to resolve ownership disputes in the sea. The guidelines outlined in UNCLOS regarding the status of islands, continental shelves, Exclusive Economic Zones (EEZ), enclosed seas, and territorial limits call for countries with overlapping claims over them to resolve their disputes based on good faith and negotiation. Sadly, this call is not always observed in among parties with territorial claims in SCS. Some have even resorted to taking actions that have resulted in casualties and have stoked tension in the sea. Several military clashes involving nations claiming parts of the SCS in the waters in the between the 1970s to the 1990s are listed in Table 2. They serve as a grim reminder of how vulnerable the sea is to quarrels that can undermine good relations among the region’s nations and pose a serious threat to regional security and unity. Tension in the sea may be anathema to the smooth flow of international seaborne trade and socio-economic development in the region. Anything but a peaceful SCS is not desirable not only to the region’s nations which depend heavily on the sea as a conduit to their trade and economic growth, but to the international community that depends on smooth passage of merchant ships to facilitate much of global trade. Serious concerns have been raised by analysts and observers that if these situations are not addressed, SCS could become a potential flashpoint. Pronouncements of commitment by claimants to resolve the territorial disputes in the sea have not allayed fears of the outbreak of conflict in the sea. Recent developments such as the move by the Philippines in February 2009 to declare parts of South China Sea as its territory,and the tense confrontation between five Chinese vessels and a US Navy ship, Impeccable in March 2009 provide a stark reminder of how edgy things can be in the sea. Of the ongoing disputes in the SCS, none is as potentially explosive as the one over Spratlys Islands (Diagram 3). This archipelago hosts most of the islands in the SCS, also known as the South China Sea Islands. Despite the remoteness of its location and the largely uninhabitable features of its islands and reefs, Spratlys is a monumentally important area not only for its natural resources and biodiversity riches but for its location along one of the busiest shipping routes and its immense geo-political and geo-strategic value. The cagey geo-strategic situation in this monumentally important maritime area requires the parties involved to exercise maximum restraint, diplomatic maturity, close cooperation and extreme care to avoid the already tense situation from coming to blows. It is a matter of concern that certain countries exert their claims in a sweeping and vigorous manner, to the point of not hesitating to take unilateral military actions and even use deadly force and claiming entire areas that overlap with virtually the claims of all other countries in the region. It is also unsettling that certain claimants have a somewhat skewed interpretation of the United Nations Law of the Seas (UNCLOS) in staking their claims in the SCS and upholding their positions vis a vis their claims. It would not be in the interest of nations in the region, and in fact other nations which depend on peace and stability and freedom of navigation in the SCS region, for any types and levels of conflict to occur in these waters. 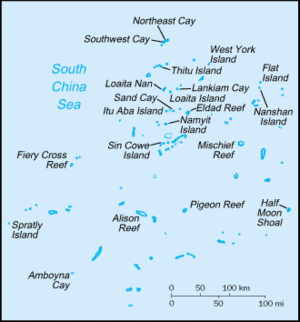 Diagram 4 shows the claims over the islands and reefs in the Spratlys by several countries. Some make their claims based on their respective EEZ, some on historical grounds which are arcane in nature, while others are propelled by their geo-strategic interests and their intention to lay claim on the rich hydrocarbon and fisheries riches in the areas. Although the claims are largely made using legal arguments, they stand on various interpretations of UNCLOS which can appear doubtful and exaggerated at best and convoluted and erroneous at worst. All the same, they provide a concoction that could potentially brew into serious conflicts if not handled judiciously. It is heartening to note the efforts of several to resolve disputes and overlapping territorial claims in the SCS in a peaceful and amicable manner. For example, Malaysia and Thailand have set up a Joint Development Authority (JDA) to jointly develop gas fields in an area in the Gulf of Thailand where both nations have interest. Malaysia and Singapore also settled their dispute over Pulau Batu Puteh or Pedra Branca, a cluster of maritime features bordering the Strait of Johore in Malaysia and Strait of Singapore, at the International Court of Justice (ICJ). ASEAN members have also engaged in confidence building measures via platforms such as the ASEAN Regional Forum and Shangri-La Dialogue involving Defense Ministers of member nations to promote peace, stability and prosperity in the region’s seas. Indonesia hosted a series of unofficial conferences in the 1990s to discuss territorial disputes in the SCS with the objective of getting the parties involved to find amicable multilateral solutions to the issue. Member states of ASEAN and China have agreed to a set of conduct known as the Declaration on the Conduct of Parties in the South China Sea to ensure that disputes are settled through diplomatic channels and not escalate into armed conflicts. Despite the undoubtedly worrying situation arising from overlapping territorial claims and aggressive military posturing in the SCS, it is encouraging to note that several efforts have been made to strengthen ties among the parties and to lower tension among them. Even claimants who have in the past engaged in deadly confrontations in the sea have managed to engage in a diplomatic manner. For example, China has made good progress in its bilateral talks with Japan, South Korea and Vietnam on managing common fisheries resources in the SCS via joint fisheries management and conservation efforts. This is a step in the right direction to build confidence among the parties with interests in the sea that could act as a buffer against hostility among them. It provides a glimmer of hope that nations will exercise restraint in SCS and work towards peaceful solutions of long-standing problems among them arising from their claims and protecting their interests in the sea. Despite its stature as a pivotal maritime trade lane, the stark reality is the SCS faces a plethora of geo-strategic challenges that will test its ability to facilitate international trade in a safe, secure and smooth manner. The tension stoked among claimants may seriously undermine the free flow of international merchant shipping in the waters and may have an adverse implication on the socio-economic prosperity and stability in the region and beyond. There is therefore a strong argument to focus on trade as a pillar on which to build and promote prosperity in SCS and its vicinity. This approach presents the best chance for nations involved in claiming territorial claims in the waters to come together and set aside their historical, political and strategic differences and work on a common platform. Given that nearly all the countries in the region depend on trade to boost their economic growth, they should direct their attention on enhancing trade among them and between them and their trading partners. Efforts should be spent on using SCS as a vector for economic growth instead of an avenue for altercation. The growing economic interdependency among nations in the SCS area demands them to stay on their toes to reap the opportunities and overcome the challenges presented by the ever-changing tides in regional and global maritime trade. As trade barriers are dismantled and the business environment becomes more liberalized, SCS regional countries will no longer be able to retain the old way of thinking and operate in isolation. More than ever, they need to cooperate to enhance trade among them and to boost the attraction and competitiveness of the region to attract more trade and investments in the region. The unmistakable trend of free trade agreements in the SCS region demands that previously closed doors are opened to enable greater trade and economic integration across the region. This will result in greater level of competition for the regional nation and among maritime industry players to attract and handle more trade. When seen in this context, it should dawn upon the parties which are at loggerheads in SCS of the need to work out, if not set aside, their differences and close ranks to achieve common objectives of attaining peace, prosperity and stability. SCS can be a conduit for prosperity instead of a lightning rod for instability, if the littoral nations so wish. The establishment of regional initiatives such as AFTA and APEC, and the success of bilateral free trade agreements among the SCS region’s nations stand testimony to the practicality and workability of achieving the lofty ideal of creating a peaceful and prosperous SCS area. There is no reason why nations which can work together to generate more trade and facilitate economic integration among them cannot resolve their disputes at sea in an equally amicable fashion. To this end, it is posited that a ‘maritime trade diplomacy’ – not unlike the ‘ping pong diplomacy’ – be used as a charm offensive to get all the littoral nations of SCS to line up on the same side. When several American diplomats went to China in 1971 to play table tennis with their Chinese counterparts, it ushered a new age in US-Sino relations. Trivial as it may seem then, it did wonders to help thaw the ice that frosted over their relationship during the Cold War period. What is required to ease the tension in SCS may not be as simplistic as a series of ping pong games. The situation and circumstances in the sea today is far more complex and far different from then. But something of that magnitude is sorely needed to calm frayed nerves and open a new chapter in the relations of nations jockeying for position in SCS. They must first find a common platform to work together and rally behind a familiar, mutually agreeable cause as a prelude to creating peace and stability in the sea. That common platform could well be trade – the elixir of the SCS region. Promoting trade is easily a common objective around which the nations along the sea can rally and work together to promote. By cooperating on the premise of enhancing trade in the region and among them, they will find a common denominator to direct their efforts on something productive rather than destructive, something that can unify them rather than split them apart. Being at the forefront of seaborne trade, SCS can play a quintessential role as a trade sea-lane that not only caters to the need for safe and secure passageway for international shipping but meets the needs and interests facilitation, maritime industry players in the region must rise to the challenge to further develop their economies and to generate more trade in order to capitalize on their strategic location in the SCS region. Competition for trade and investment is heating up in today’s increasingly borderless operating environment. It is therefore crucial for trade-dependent nations in the SCS region to continue building their capacity, invest in human capital and hone their competitiveness to facilitate greater regional trade volumes and to take advantage of the huge seaborne trade and shipping flows in SCS. To face the new dynamics and realities of a more liberalized trade environment, it is essential that institutional support is put in place to facilitate efforts to enhance the SCS region’s comparative advantage over other economic regions. This could be achieved on a platform of strong cooperation and coordination among nations and agencies in the SCS region in planning, implementing and monitoring of policies affecting trade and transport. A strong institutional platform provides a solid base on which cooperation in efforts to improve trade and trade transport performance can be carried out. This would go a long way towards averting confrontations and conflicts arising from geo-strategic interests. The nexus between trade flows and investment linkages has helped enhance trade in the SCS region and boost economic ties among its nations and with their trading partners elsewhere. There exists a strong correlation between the performance of the region’s increasingly outward looking economies and the global economy, as underlined by the increasing trade flows between the region and its trading partners. This is especially the case with regard to the trade and economic linkages between SCS region and more developed regions from which comes a big portion of FDI that helps fuel the development of the developing economies in the SCS area. Given the forecast in greater trade volumes in the SCS region in the years ahead, the nations in the area should prepare to enhance their trade linkages with one another and with other economic regions. This is necessary as trade is poised to play an increasingly influential role in charting the region’s economic prosperity and trade flow in the future. No doubt that the SCS region’s trade and economic fortunes and its maritime sector will be shaped by global developments as much regional ones, hence it is critical for nations critical that it pays close attention to the international dynamics, trends and issues that influence trade, economy and the maritime industry. To maintain its trade competitiveness and its stature as a maritime region of global standing, governments and industry players should work on enhancing the attraction of the region as a trade area and an FDI destination, and to enhance their competitiveness to handle more trade and to survive the onslaught of competition on a global scale. Businesses, shippers, players in the maritime sector and other stakeholders in the SCS region which depends on trade should take advantage of the region’s strategic location and dynamic economies, plus its trade-oriented outlook, to generate more trade and economic activities. There is ample evidence of increasing trade networks forming among the countries in the SCS region as a result of greater liberalization and dismantling of trade barriers in the area. Nations in the region should leverage on the location, socio-economic and political situation, and developments in the maritime sector to close ranks and trade more with one another in a fair manner for the benefit of all. This would not hurt efforts to develop close socio-economic ties within the region that could in turn lead to more trade and greater socio-economic prosperity in the region. The maritime sector has played an instrumental role in galvanizing trade and economic growth in the SCs region. The growth of ports, shipping services, shipyards and other maritime ancillary has helped nations in the region to foster closer trade and economic ties with one another and with their trading partners elsewhere. Further investments into the maritime sector to procure assets, build infrastructures, expand capacity, develop human capital and enhance productivity and service levels will contribute to regional trade and economic growth. This will only be good for a region which generally advocates open trade and will enhance its standing as a business- and investment-friendly region and a major maritime trade area. It will also inculcate a sense of common objective among SCS nations to use the sea to attain socio-economic prosperity together instead of engaging each other in an adversarial manner. In this respect, nations and maritime sector players in the SCS region must continuously strive to provide adequate infrastructures and adequate capacity and high level of services at the most competitive cost. In a region where the movement of goods, capital, investment and services, and the linkage among transport modes, are becoming more integrated, nations surrounding the SCS must reassess their priorities and adjust to new realities in the way they respond to a liberalized, integrated and more competitive regional economy. In the face of growing complexity arising from the multitude of challenges and rapid developments in today’s world, and amid the severe global economic downturn, it is crucial that the region’s nations cooperate and collaborate to generate more trade and foster stronger economic ties among them. The challenge is on for the maritime players in the SCS area, who are at the forefront of trade in the region, to capitalize on the region’s strategic location, the open and outward looking trade policies of regional nations, the availability of good trade and transport infrastructures, the huge population and growing income per capita to translate these advantages into bigger trade volumes. Amid increasing competition among nations to attract FDI and among ports to lure shipping lines and their cargo, countries which could not provide the spectrum of services needed to facilitate trade in a smooth and effective manner would be shunned by investors, and their ports would be bypassed by international shipping lines. It is therefore crucial that trade-dependent nations in SCS work hard at developing their trade facilitating infrastructures such as ports and services such as shipping to remain competitive and to handle greater volumes of trade. Already, the region faces stiff competition from nations in other economic regions for FDI and could ill-afford to lose further grounds. Key to attracting FDI and more trade into the region is to have maritime infrastructures and trade facilitating services which are efficient and can host increasingly bigger merchant ships and handle big volumes of trade effectively. For nations in the region which depends heavily on maritime transportation to facilitate much of their international trade, it is essential to develop the maritime ancillary services to facilitate the handling growing trade volume and to enhance the attractiveness of SCS as a trading region and investment destination. These can be facilitated via bilateral or multilateral initiatives, or perhaps using platforms such as ASEAN and APEC. Close economic cooperation can forge a sense of regional belonging, which can act as a buffer that deters nations from treating each against hostility. Since time immemorial, SCS has provided the stage for maritime trade and movements of people that significantly shaped the socio-political, cultural, economic and strategic landscape in the regions surrounding it. Put it simply, SCS acts as a palette that provides the colors that help paint the picture of the littoral areas. Being a sea that sits along a key trade lane and borders many countries featuring hundreds of millions of people along its coasts, the multifunctional role of the SCS as a strategic sealane, a facilitator of economic growth and a provider of resources and livelihood is paramount. On account of these, it is crucial to preserve safety, security and prosperity in the sea not only from an economic perspective but also from an environmental point of view. The sea cannot afford to be a theater of conflict that will threaten the economic interests of the littoral nations and the international community, nor can it be a platform for rapacious exploitation of its natural riches that will degrade its environment. A full blown military confrontation in the sea would only result in the intervention by outside powers keen to capitalize on such situation in the name of creating ‘balance of power’ in the region. It is therefore crucial that the conflicts arising from the overlapping claims in the sea settled in an amicable way. To this end, all diplomatic channels must be exhausted and nations must behave in such a manner that disputes do not become overblown to full scale conflicts. It would serve anyone’s interest to have a South China Sea that is wrought of conflict and is heavily militarized. This would hamper trade flow in its crucial shipping lanes and would cause adverse effect to the livelihood of people, not to mention of the threat that it would be to the vulnerable ecosystem of the sea. In the same token, other maritime security threats such as pollution, illegal fishing, piracy, smuggling and even terrorism must also be addressed and contained to ensure that the sea is meets the needs of its littoral states and is kept open and safe for international use. While initiatives such as the establishment of Declaration on the Conduct of Parties in the South China Sea and collaboration among nations to manage fisheries resources are laudable, much more needs to be done to promote cooperation and understanding among littoral nations of the sea to ensure that conflicts are avoided and prosperity therein preserved. In this regard, trade and economic developments, dynamics and realities are powerful motivators for nations in the SCS, which share a common destiny and objective to enhance trade to attain socio-economic prosperity, to cooperate with one another rather than confront each other. It should dawn upon the littoral nations of SCS, especially those who hold grudges over historical claims and past incidences, that the trade and economic interdependence among them is crucial for their economic wellbeing and survival. They simply must not let their differences and eagerness to win at all costs get the better of their judgment. In the waters of SCS lie their shared destiny. The onus is on them to use the mighty sea as a conduit for cooperation instead of an agent for adversary. Nazery Khalid heads the Center of Maritime Economics and Industries at Maritime Institute of Malaysia (MIMA), a maritime policy think-tank. The thrust of his center’s research is in the fields of ports, shipping, maritime trade, offshore energy and maritime ancillary services such as shipbuilding / ship repairing, ship financing and logistics services. Nazery is a regular speaker at many maritime events and has thus far spoken at over 70 seminars and conferences worldwide. He has also conducted workshops on ship financing and teaches maritime economics to MBA in Shipping Management students at a Malaysian university. To date, he has published over 140 articles (print and online), papers in refereed journals, op ed pieces and chapters in books, and has authored books on ship financing and multimodal transport in Malaysia, in addition to editing two conference proceedings. He has also undertaken several consultancy works relating to ports and shipping. Nazery holds a Bachelor of Arts degree in Business Administration from Ottawa University, Kansas, USA and an MBA from International Islamic University, Malaysia. He is currently pursuing his PhD in Management (by Research) at Universiti Tun Abdul Razak, Malaysia. The concept of sea lane of communication describes a sealane which facilitates significant volume of trade and is heavily used by merchant vessels. Such a sealane also has high strategic values from a military point of view, and contains chokepoints that can lead to its closure in the event of incidents such as collision, pollution and attack on ships. Ibid. China was reported to describe the claims by other nations on oil-rich parts of the South China Sea where it also has interest as “unfounded territorial claims”. The Baltic Dry Index, the benchmark index that tracks the performance of the shipping bulk trade, touched an all-time high level of 11,793 points on 20 May 2008. UNCTAD (2008). Review of Maritime Transport. Geneva : UNCTAD. xiv. According to UNCTAD, developing Southern and Eastern Asia accounts for 424.8 million tons of unloading of tanker cargo, which reflects the region’s growing energy requirements and developing intra-regional South-South trade. Article 279 (Obligation to settle disputes by peaceful means) in Part XV on Settlement of Disputes (Section 1 – General Provisions) of UNCLOS states that “States Parties shall settle any dispute between them concerning the interpretation or application of this Convention by peaceful means in accordance of Article 2, paragraph 3, of the Charter of the United Nations and, to this end, shall seek a solution by the means indicated in Article 3, paragraph 2, of the Charter”. See Division for Ocean Affairs and the Law of the Sea, Office of Legal Affairs (1983), The Law of the Sea, Hampshire, UK : Palgrave Macmillan, 129. In 2009, the Philippines Government declared a bill 2009 claiming an area covering more than 50 islets, shoals, and reefs known by China as Nansha Islands and known by the Philippines as Kalayaan Island Group. The signing of the bill and the ensuing strong protestation by China presented a serious challenge for Manila and Beijing to adhere to the Declaration of the Conduct of Parties in the South China Sea signed by ASEAN and China in 2002. China, for example, believes that the Spratlys form an integral p0art of its sovereign territory based on discovery made during the Han Dynasty in 2BC. For further reading on this subject, see, among others, Jianming, S. (1996). Territorial aspects of the South China Sea Island disputes. In Nordquist, M. H. & Moore, J.N. (eds. ), Security flashpoints : Oil, islands, sea access and military confrontation , The Hague: Martinus Nijhoff Publishers, 1998. 139-218. See also Jianming, S. (2002). China's sovereignty over the South China Sea Islands : A historical perspective. Chinese Journal of International Law, 2002(1), 94-157. The Diplomatic Academy of Vietnam (DAV), Foundation for East Sea Studies (FESS) and the Vietnam Lawyers’ Association (VLA) are pleased to host the 7th South China Sea International Conference: “Cooperation for Regional Security and Development” on 23-24 November 2015 in Vung Tau city, Viet Nam. The Diplomacy Academy of Vietnam and the Vietnam Lawyers’ Association jointly held an international seminar on the East Sea in Hanoi on November 11th – 12th. Videos of the Fifith South China Sea Workshop: Cooperation for Regional Security and Development. The Workshop organized by Diplomacy Academy of Vietnam and the Vietnam Lawyers’ Association took place in Hanoi from November 11th – 12th. The Diplomacy Academy of Vietnam and the Vietnam Lawyers’ Association will jointly hold an international seminar on the East Sea in Hanoi on November 11th – 12th. The purpose of this paper by Nguyen Minh Ngoc is to analyze the actors and new thoughts in Chinese foreign policy and implications of China’s policies for South China Sea. The author would like to offer readers with the policy-making process of new foreign policy of China, which helps Vietnamese more aware of the situation and find appropriate solutions. In the process of seeking measures to the disputes in the South China Sea, UNCLOS 1982 and the related international legal documents are the creditable legal basis despite their drawbacks. Therefore, the reality approaches are crucial. First, the following article analyzes the pros and cons of taking UNCLOS as the legal basis. Sovereignty disputes in the South China Sea in general and in the Spratly Islands in particular have become a hot security issue not only in Southeast Asia but also in Asia-Pacific region. The Philippines is one of the six parties that claim sovereignty over parts of the Spratly Islands. The paper's author Vo Xuan Vinh exposes the process of the Philippines’ claims on the Spratly Islands and analyses of its legal basis. To perform this study, the authors analyzed the occurrences and data from 1950 to 2011 on the Philippines’ claim on the Spratly Islands and its process of claiming. Moreover, the author indicates the advantages and disadvantages of the Philippines’ claims on the Spratly Islands. Besides the advantages like geographic proximity and actual control over islands in the Spratly Islands, the Philippines lacks many important legal basis to assert these islands belong to them if they submit the disputes to the International Court of Justice. To stimulate South China Sea regional security cooperation in the control of piratical attacks against ships, this paper proposes the establishment of a limited purpose maritime and air defence identification zone over the South China Sea. The Philippines recently passed a 2009 Baselines Law that, it was hoped, would finally confront its long-standing dilemma on whether to abandon its 1898 “treaty lines” altogether and adopt the modern rules on the Law of the Sea. That hope did not come to pass. The interplay of power and law in the South China Sea is not well understood. To analyze the disputes over navigation rights, sovereignty to islands, and delimitation of maritime zones we need to grasp how states define and defend their geopolitical interests as well as the ways in which international law influences their claims and conflict behaviour. This paper starts with the huge difference in interpretations made by geopolitically oriented political scientists and more normatively or legally oriented scholars. Then the paper asks how developments in international law have affected the conflicts in the South China Sea historically. It establishes parallel histories of alternation between periods of conflict and détente and of legal developments, both in customary and treaty-based international law. The main emphasis is on the law of the sea. The paper concludes by establishing causal linkages between the two histories, while seeking to ascertain in what ways the law as such has influenced conflict behaviour. Has it exacerbated disputes by encouraging conflictual claims? Or has it established rules and procedures that help manage or resolve conflicts? The paper is written on the assumption that the answers we give to these questions may influence the way we see the prospects of future peace in the South China Sea. This paper explores the rules of international law, as well as relevant state practice, pertaining to maritime cooperation. Its scope therefore includes formal and informal arrangements whereby states have decided to blur, or establish some alternative to, the usual rules pertaining to exclusive jurisdiction at sea. This paper argues that a better choice is to make active use of the Law of the Sea as a basis for delimiting territorial waters, Exclusive Economic Zones and continental shelves, and that this could be possible even without resolving the question of sovereignty to the Spratly Islands. The proposal outlined in this paper is modest and practical and in view of the current deadlock in the South China Sea.